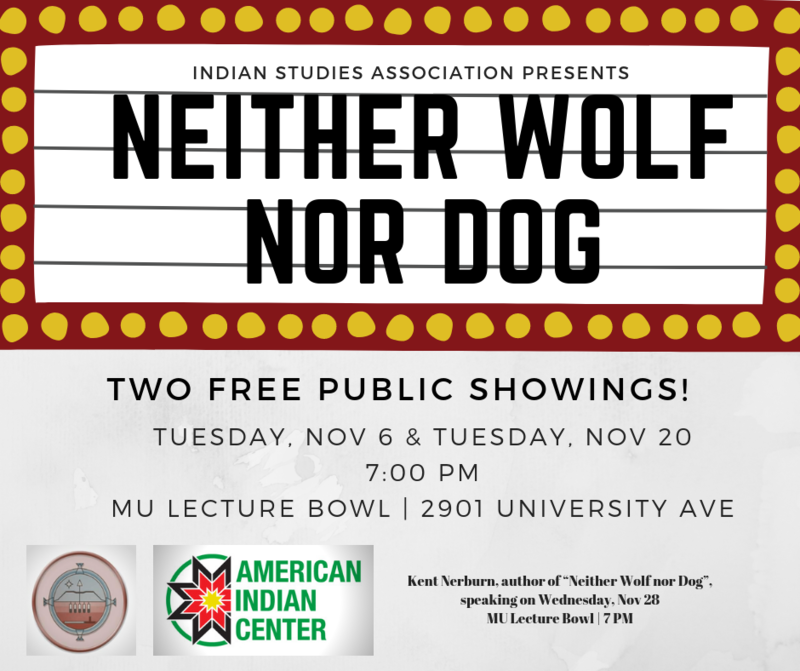 November is National American Indian Heritage Month, and to celebrate the UND Indian Association is hosting two free showings of the film Neither Wolf Nor Dog. In addition, XCultural (Jeff Gibson) welcomes to campus Kent Nerburn, the author of the book Neither Wolf nor Dog on Wednesday, Nov. 28, for a public lecture at 7 p.m. in the Memorial Union Lecture Bowl. For more information email Ashly Hanna, President of the UND Indian Association.